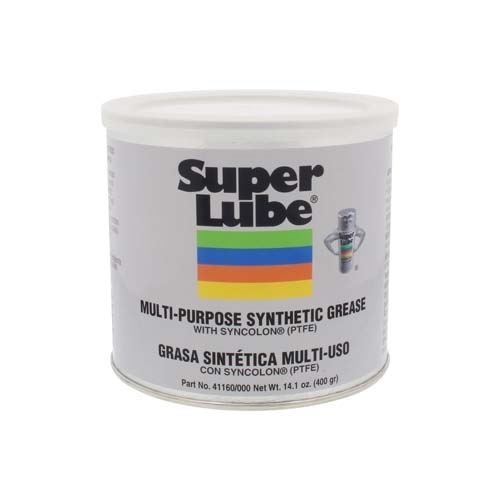 Super Lube® Grease is a patented synthetic NLGI Grade 2, heavy-duty, multi-purpose lubricant with Syncolon® (PTFE). 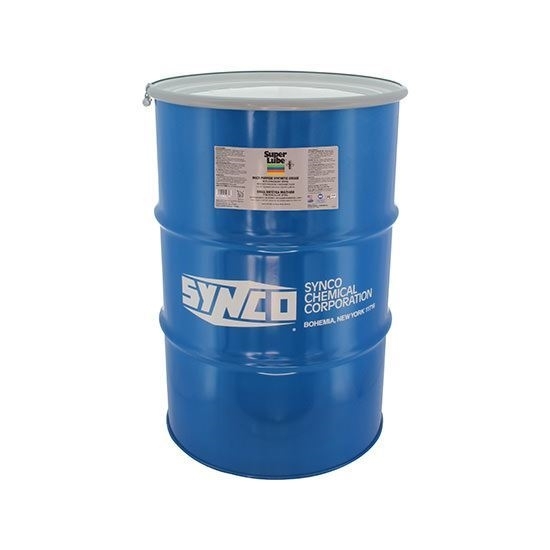 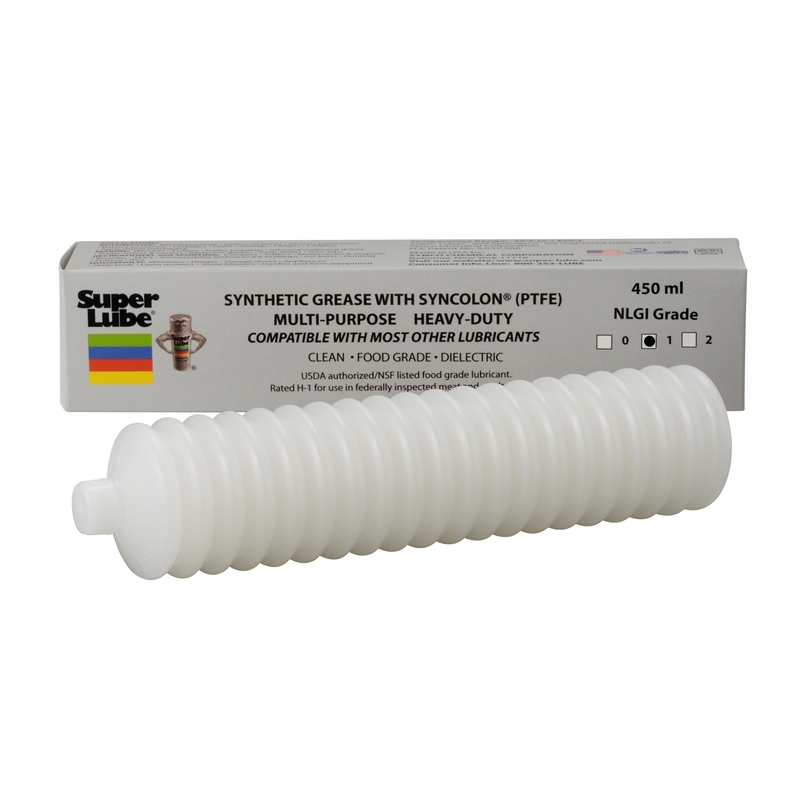 Synthetic base fluids and the addition of Syncolon® (PTFE) micro powders combine to form a premium lubricant that provides longer life protection against friction, wear, rust and corrosion over a temperature range of -45°F to 450°F (-43°C to 232°C). 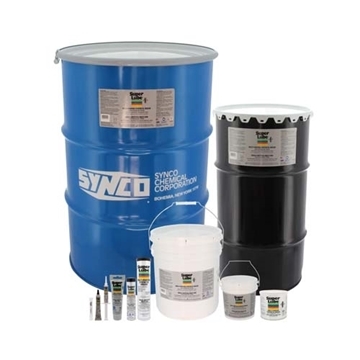 Machinery lasts longer, downtime is reduced and productivity is increased. 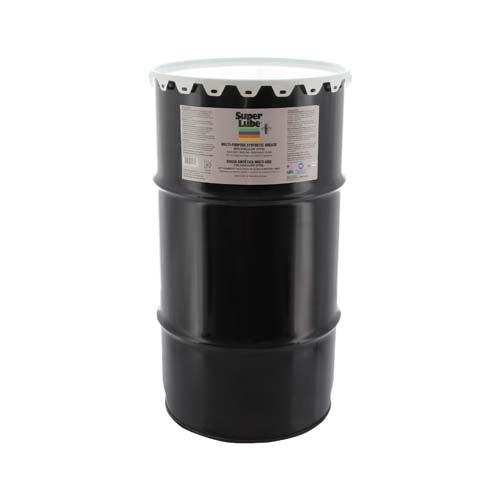 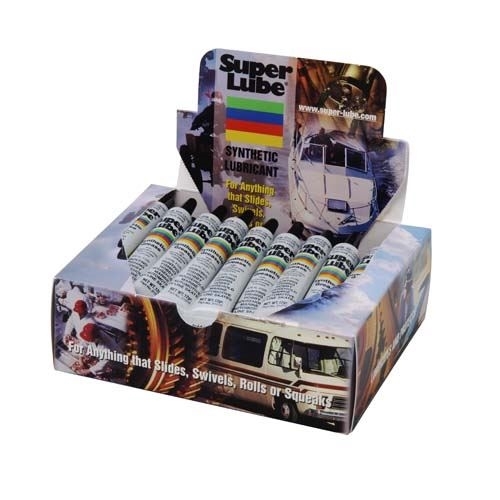 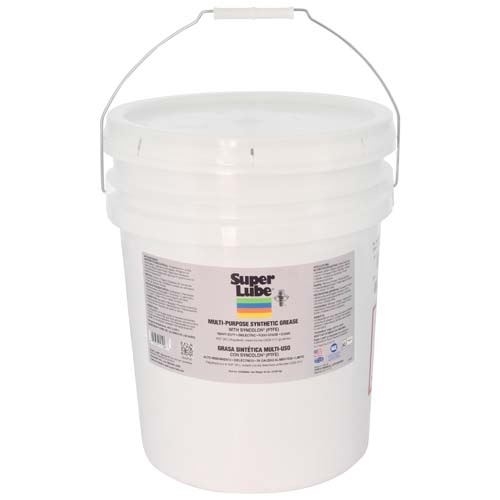 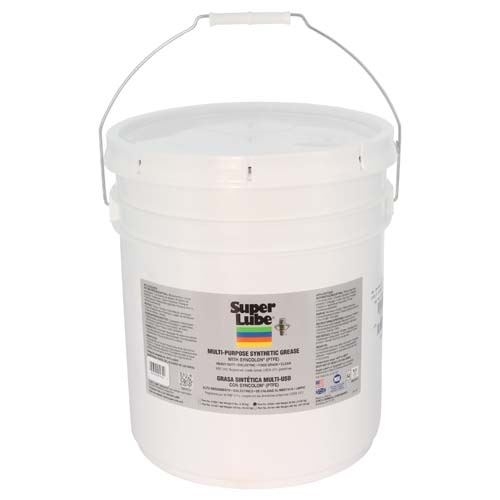 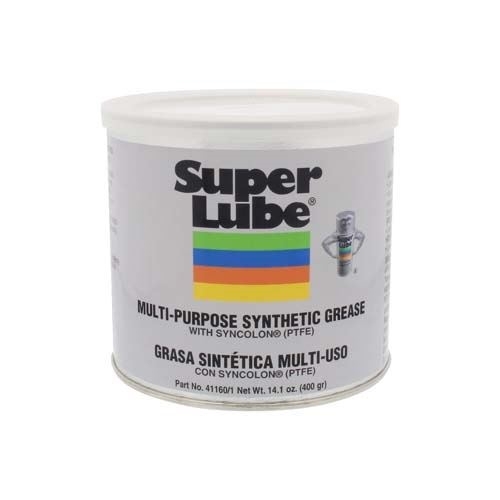 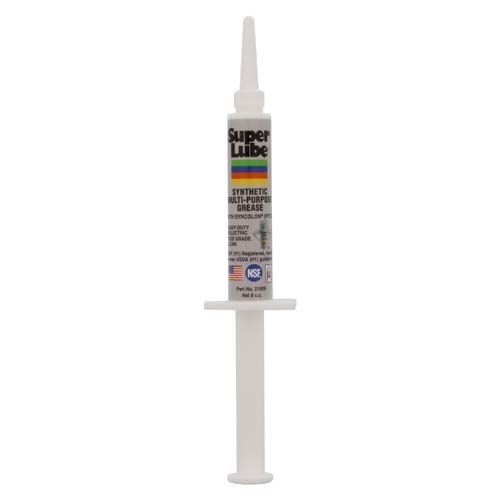 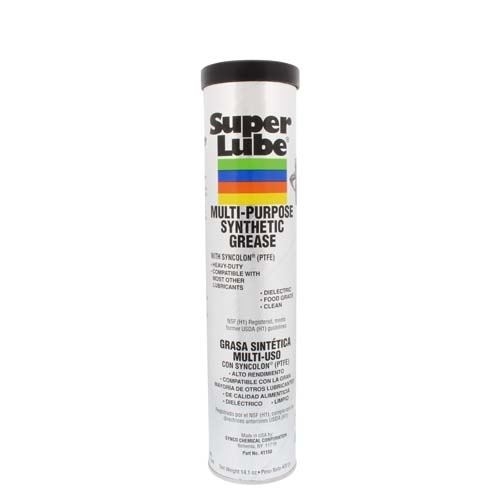 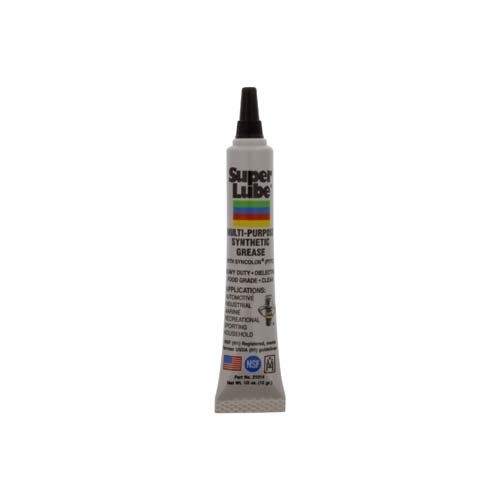 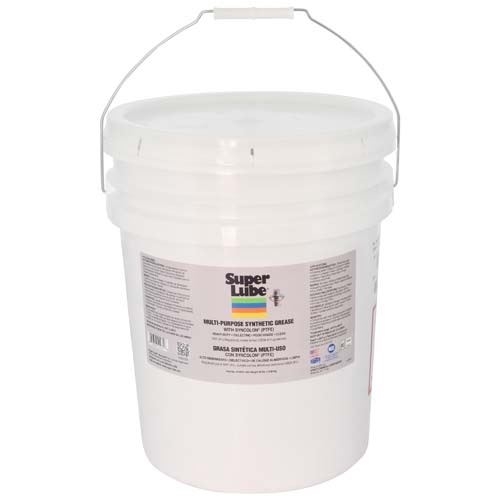 Super Lube® Multi-Purpose Synthetic Grease is dielectric, food grade, clean and environmentally friendly. 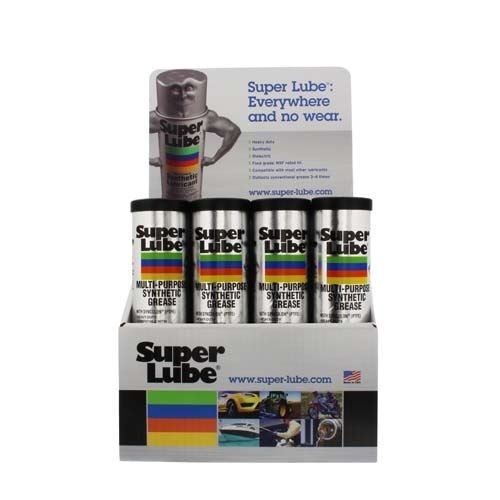 It offers good mechanical stability, does not evaporate or form gummy deposits. 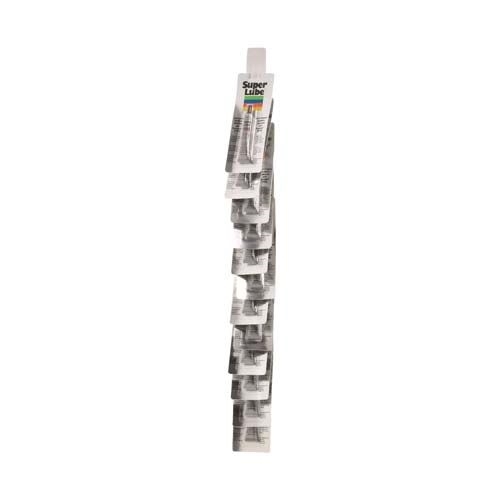 It will not melt or separate. For rubber and plastic applications see Compatibility Chart under Technical Resources. 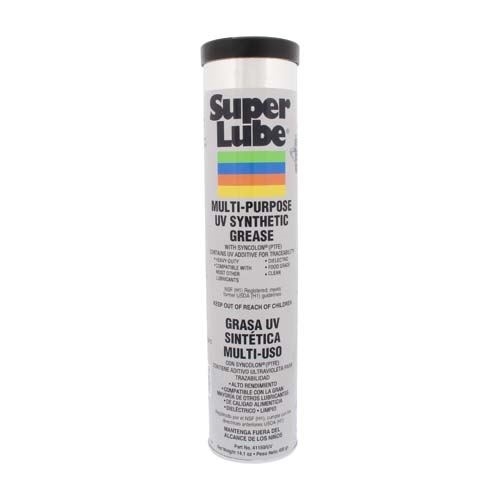 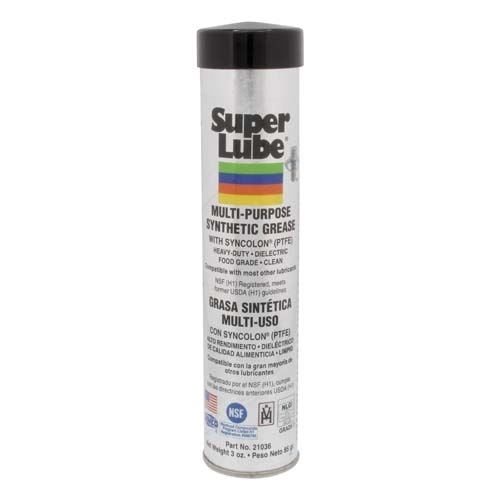 Super Lube® Multi-Purpose Synthetic Grease is an NSF registered Food Grade lubricant, rated H1 for incidental food contact and meets former USDA (H1) guidelines. 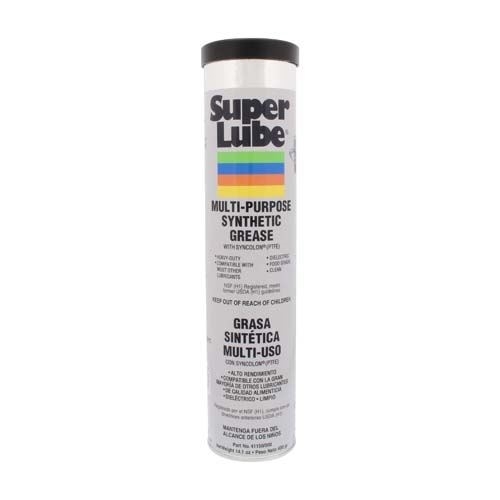 Super Lube® Multi-Purpose Synthetic Grease is Kosher Certified. 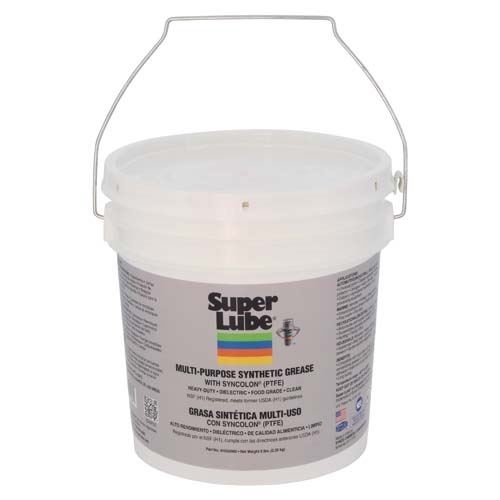 NGLI Grade 2 Grease is NLGI GC-LB Certified. 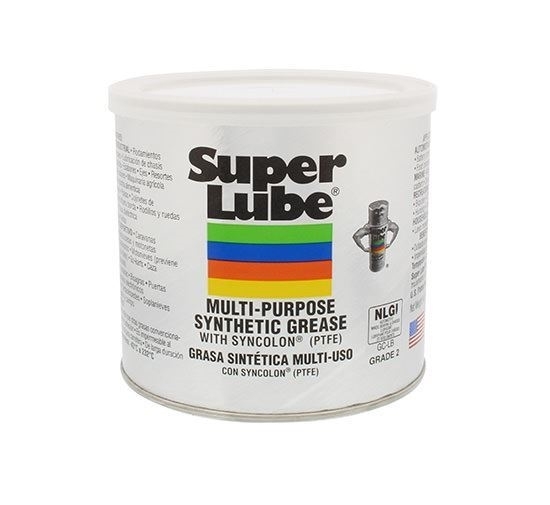 Available in NLGI Grades: 1, 0, 00, 000. Part numbers are identified by /1, /0, /00, /000. Available with UV additive for traceability – validates the existence of the lubricant. 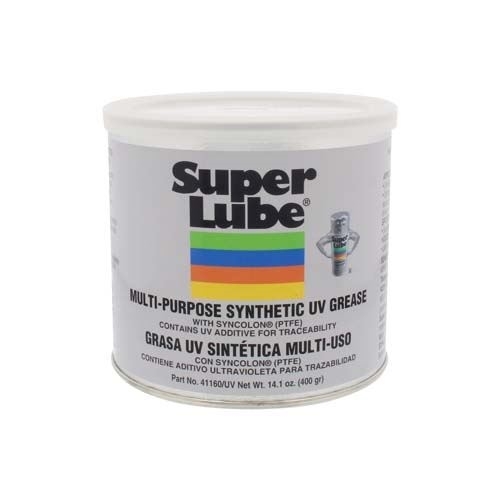 Part numbers are identified by /UV.